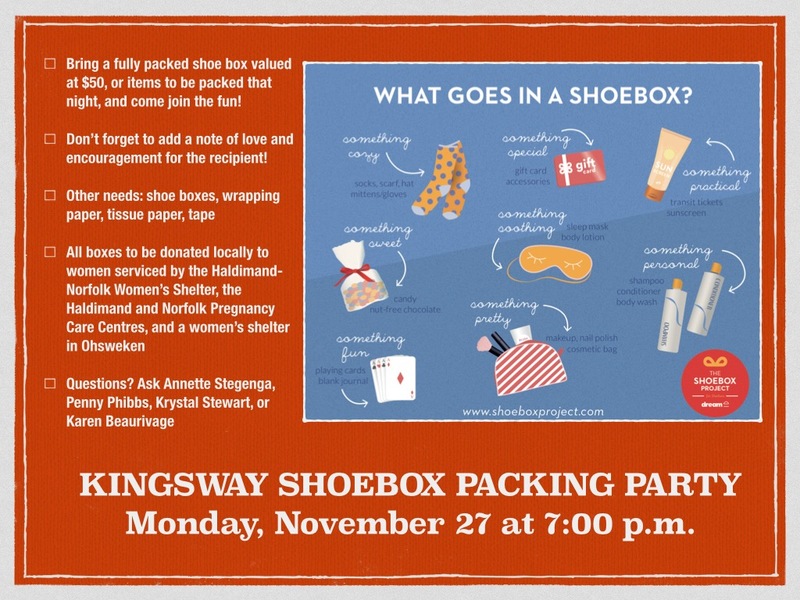 Kingsway Shoebox Packing Party – November 27th @ 7:00pm. For more information talk to Annette Stegenga, Penny Phibbs, Krystal Stewart or Karen Beaurivage. Visit the Haldimand-Norfolk Counties Shoebox Project Website or Facebook Page for updates.